Good morning to all of you super sensational second grade teachers! 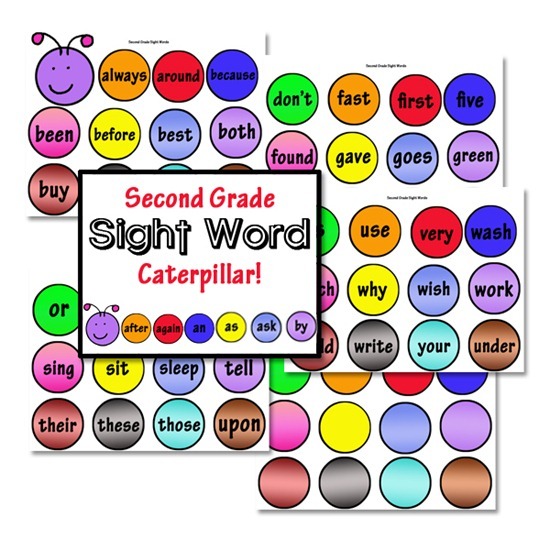 As promised last week, today I’m sharing some very cute and fun Second Grade Sight Word Caterpillar cards with you! Third Grade Sight Word cards are coming soon! Hi there, We LOVE the sight word caterpillars! Would it be possible to make a set of caterpillar discs with all the number words up to twenty and all the colour words, please?